The SSML of Padua employs their highly qualified teachers to offer liaison, simultaneous, conference and Chuchotage interpreting services. Our teachers are able to satisfy every necessity in a professional, competent and timely manner. 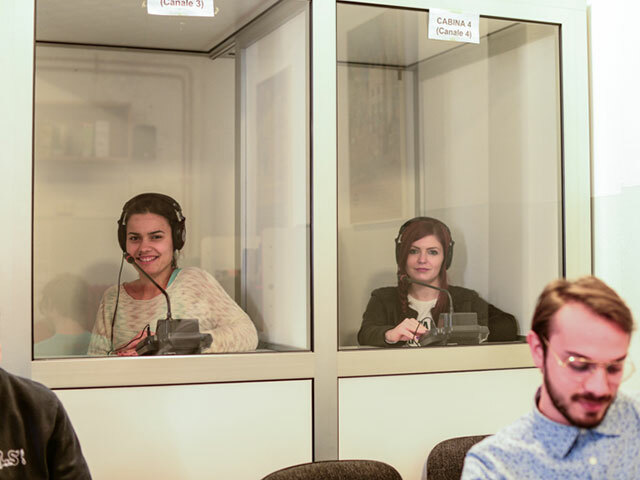 They have been working in the field of Interpreting for many years, acquiring remarkable experience, which guarantees high-quality performances at competitive prices. They thoroughly understand the profession in its multi-faceted aspects.